Victorian Planning Minister Richard Wynne has approved the development of Lendlease's residential project, Melbourne Quarter. 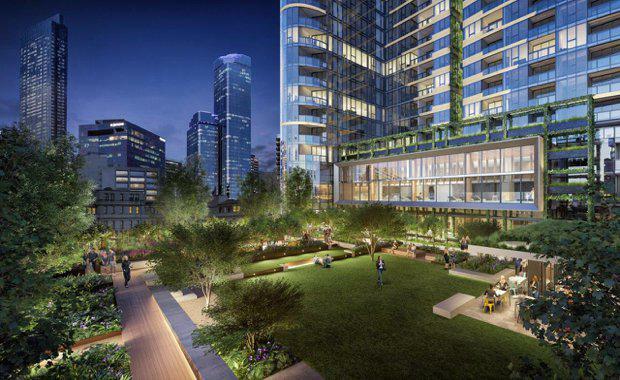 The $2 billion mixed-use residential precinct will comprise of three towers, designed by Melbourne-based architectural firm Fender Katsalidis Architects, and is anticipated to include approximately 1690 homes. Lendlease Managing Director for urban regeneration Mark Menhinnitt has hopes that Melbourne Quarter will be the city's most anticipated address. “Melbourne Quarter will be next to a thriving commercial district and offers the opportunity to live next to work, which is increasingly appealing for young professional owner occupiers and investors with a keen eye on the leasing market,” he said. The precinct has a strong environmental focus, with more than half of the 2.5 hectare site dedicated to open public spaces including Melbourne’s first elevated Skypark, a neighbourhood park, a new public square and a series of retail laneways which connect to the greater CBD area. Further amenities include 'Club MQ', a part of the development that will feature three floors of resort-style facilities including a 25 metre swimming pool, spa, steam room, sauna, state of the art gym and yoga rooms, theatrette, private dining spaces and resident’s library and lounge. “Melbourne Quarter aspires to set leading standards as an environmentally sensitive and sustainable development, that will see all residential towers target a 5-Star Green Star rating,” Mr Menhinnitt said. The first residential building, East Tower, will feature a wide variety of one, two and three bedroom apartments. Located at 628 Flinders Street, the 40 level development will offer views of the city and bay and will feature hanging gardens climbing the full height of the building. Melbourne Quarter’s apartments will provide a range of one, two and three bedroom city residences, and Mr Menhinnitt believes their design features, location and amenity will added further value in comparison to CBD competitors. The creation of Melbourne Quarter will be delivered in stages over the next six years and is anticipated to generate approximately 15,000 construction jobs over the life of the project. On completion, its commercial offices are expected to be home to around 10,000 workers.